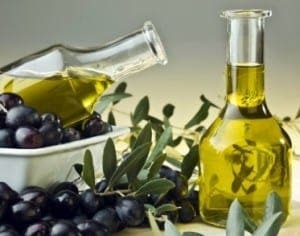 OLIVE oil prices are set to skyrocket after producers admitted their anxiety about this year’s poor harvest. 2015 has seen the worst olive harvest in years across Spain and Italy – the world’s two top producers – and prices are set to increase by 60% on last year. While Spain is responsible for 72% of the EU’s olive oil exports, and 44% worldwide, the oil produced is currently estimated to cost €4,099 per ton versus €3,500 in mid-July. Bad news for someone who only ever cooks with olive oil. Tried going back to rapeseed oil – yuck, no thank you. Stuart you forgot to mention lard-yuck, no thank you. A friend of mine, 60 odd years ago spent his honeymoon in Spain. On his return I asked him if he had a nice time. “Well” he replied, “the weather was lovely but the food was terrible”. “Why was that” I responded. “Well they cook food with olive oil”. Now, my mother is Italian and must admit I was taken back slightly by his response. Mind you back in my army days everything in the army was was cooked with lard. P.S. Back then there was no such thing as rapeseed or any other kind of oil except olive oil for cooking. Not where I am (Alozaina) everybody is saying what a fantastic crop this year. The local factory cannot take any more in until 24th November. Locals are having problems harvesting it all. Alan – you lucky sod.